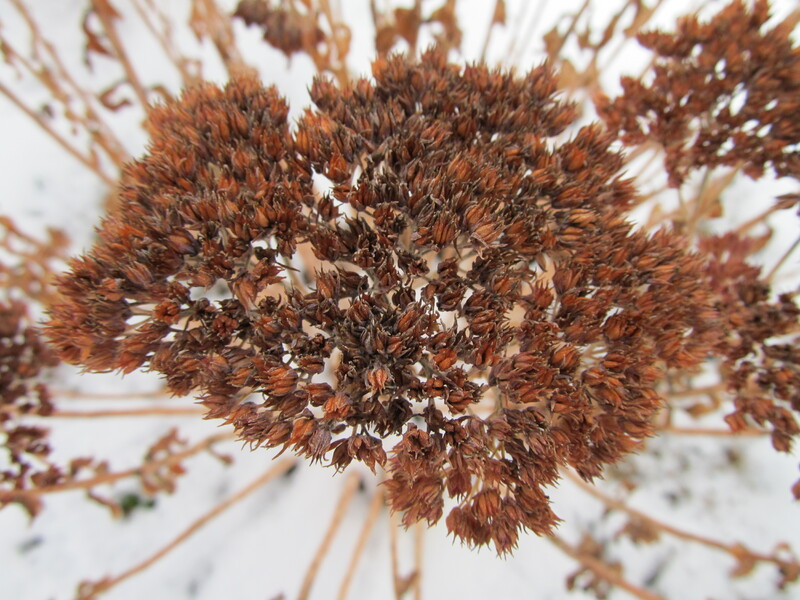 We are well into winter in the northern hemisphere, and the plants in our landscapes have been dormant for weeks now. 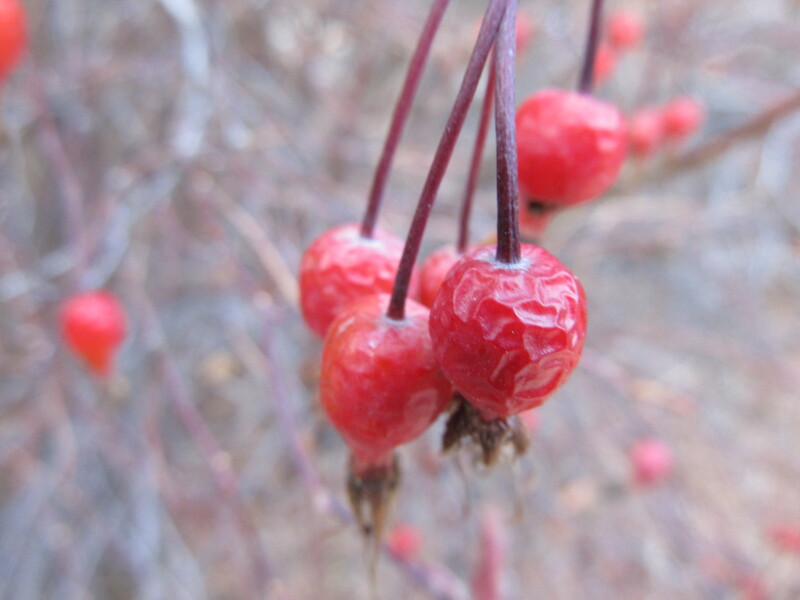 Trees and shrubs have dropped their leaves, grasses have gone brown, and perennial forbs have died back – their roots harboring the food they will need to return to life in the spring. What little green that is left is provided mainly by evergreen trees and shrubs, but even they are resting – metabolizing slowly and putting off further growth until warmer temperatures return. The view outside may appear largely bleak and dreary, but there is still beauty in a frozen landscape, and much of that beauty is provided by the same things that brought color and interest during the warmer months. 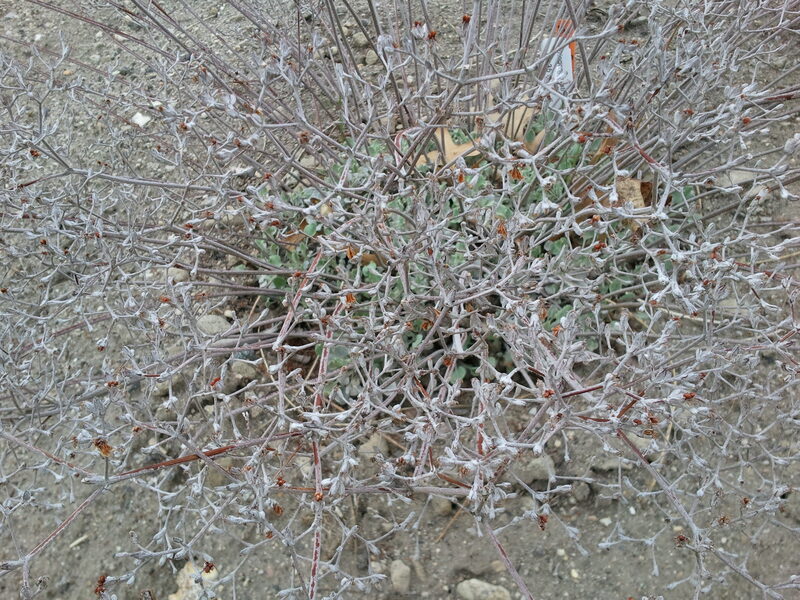 Many plants, though appearing dead, remain attractive throughout the winter. 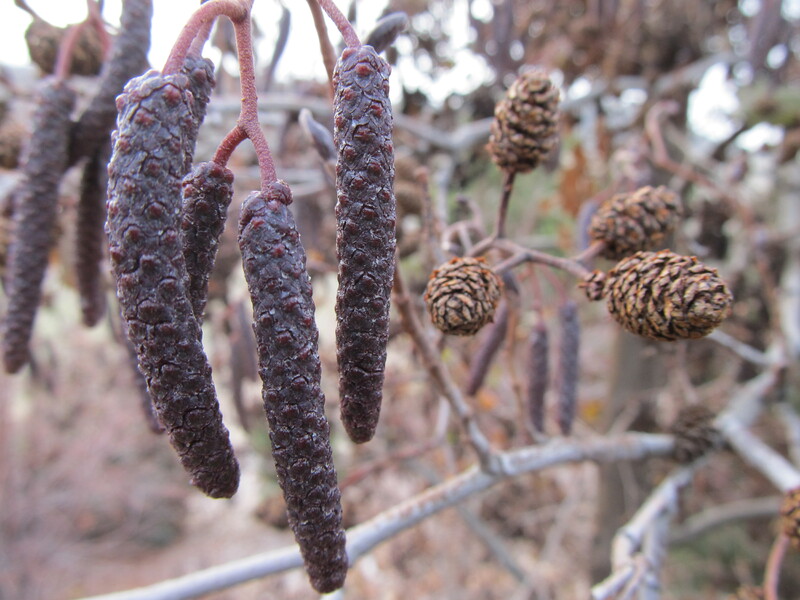 From fruits and cones to seed heads and seed pods, there are various structures that remain on certain plants even after leaves fall that provide winter interest. 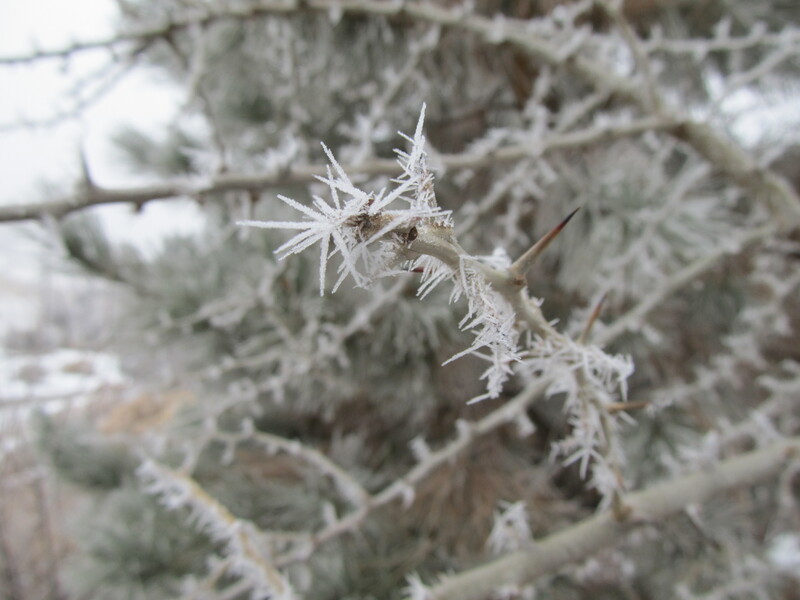 Deciduous trees and shrubs show off their branches in the winter months, which when freed from the camouflage of leaves are like sculptures – art pieces in their own right. 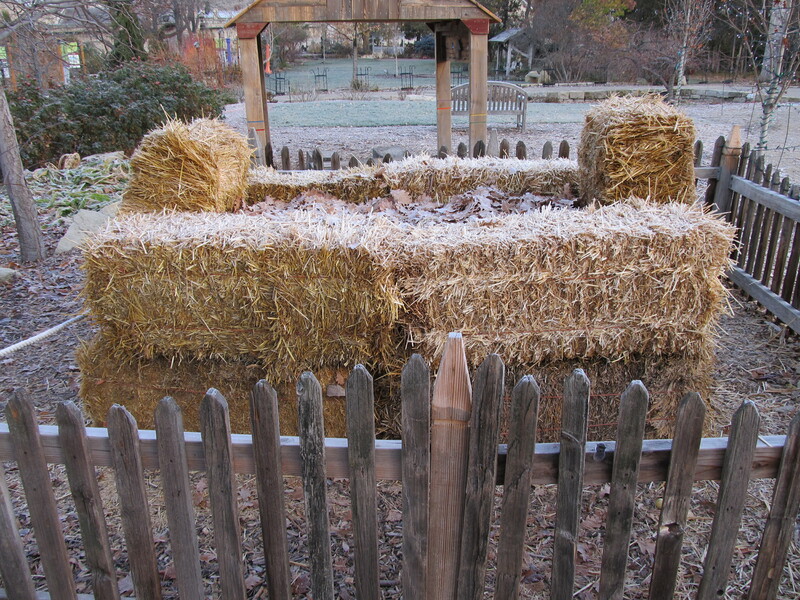 Perennial grasses can continue to provide structure to a garden bed when left in place and upright, and color is provided by evergreen foliage and colored bark, such as the red and yellow bark of some dogwoods (Cornus spp.). Beauty surrounds us, even in unlikely places. Things are quiet and frozen now, and foggy, dismal days abound. But winter won’t last forever. Plants can remind us of that. In them we find remnants of brighter days and an assurance that there are more to come. All photos were taken at Idaho Botanical Garden in Boise, Idaho. In the spirit of the holiday season, consider this fun alternative to a conventional Christmas tree. Rosemary (Rosmarinus officinalis) is an herbaceous, evergreen shrub or subshrub and is commonly found in herb gardens. Its leaves are valued for their myriad culinary and medicinal uses. Futhermore, this plant takes very kindly to pruning and shaping, which makes transforming it into a miniature Christmas tree a very simple task. It may be too late to cultivate a “tree” for this year’s holiday season, but perhaps you’d like to try for next year. To do so, find a small rosemary plant at a local garden center or plant sale in the spring. Make a few initial pruning cuts to select a leader or leaders. 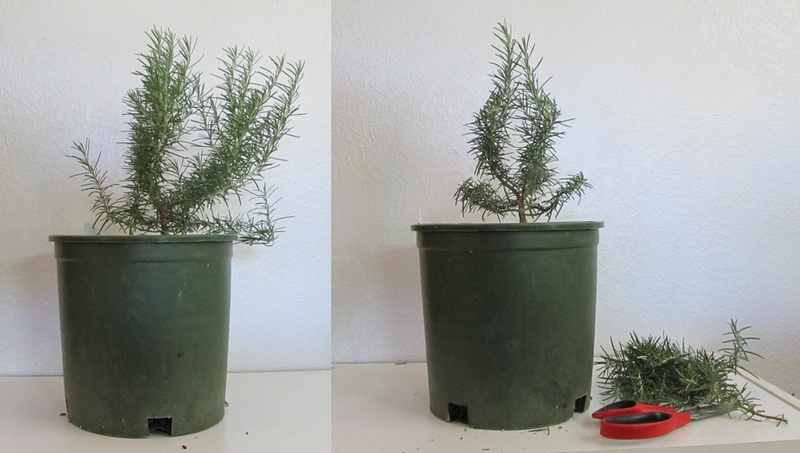 After about a month or two, start giving it the shape of a Christmas tree. Floral scissors work great for making these cuts, and you don’t have to worry about where on the branches you are cutting – rosemary is very forgiving – just make sure your scissors are sharp. Wait a couple more months and then do more shaping with the pruning scissors. Do some final shaping a month or so later. 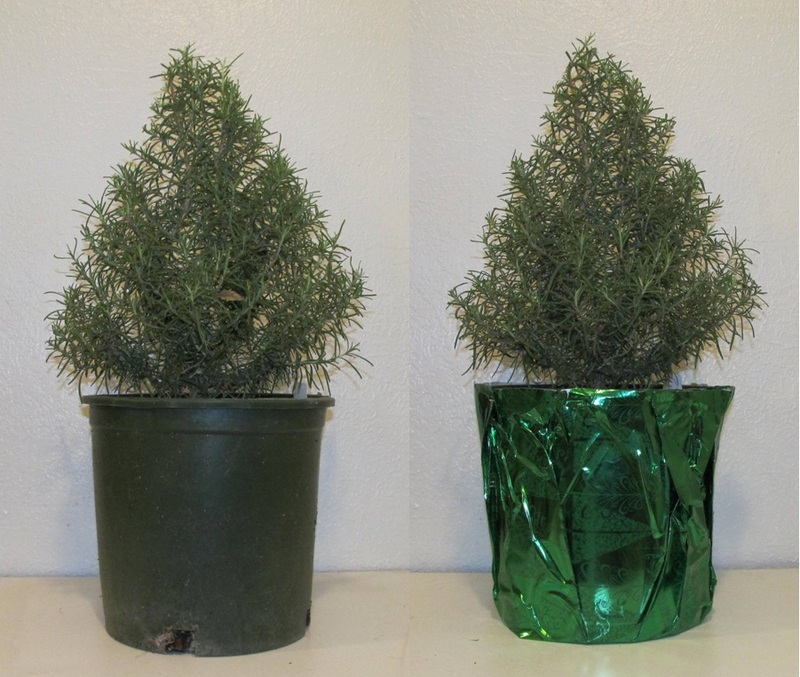 At this point, you should be entering the holiday season and your rosemary Christmas tree will be ready to display. It’s that simple! 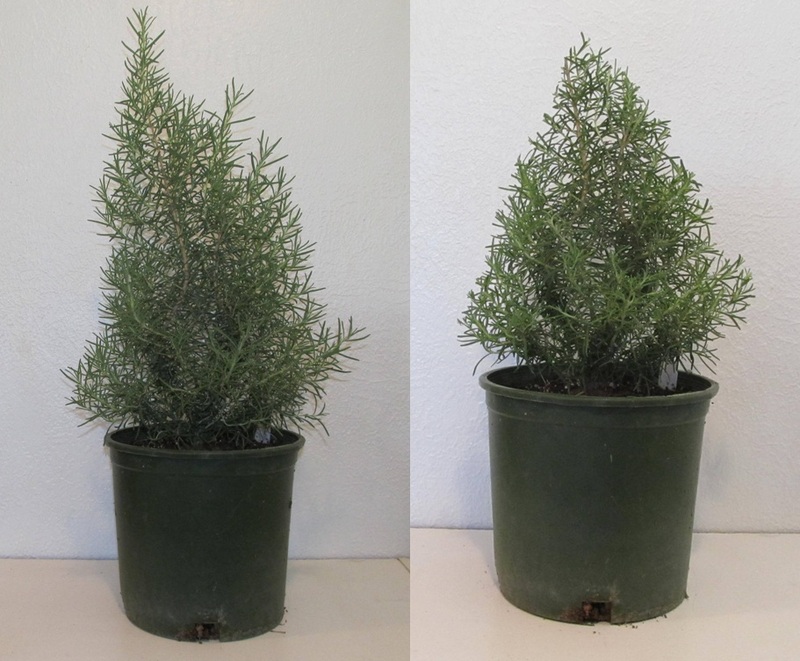 One major downside to growing rosemary if you live in a cold climate is that it is only hardy to about USDA zone 7. 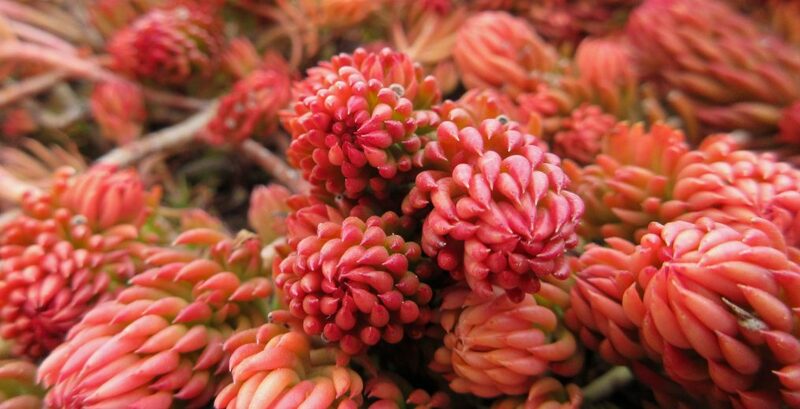 However, if you select the right cultivar, place it in a protected location (near the south facing wall of a building perhaps), give it some mulch and maybe a blanket for the winter, you might be able to get it to survive in colder zones. Rosemary can also be difficult to overwinter indoors because the air in homes is typically dry and warm and there is little direct sunlight. 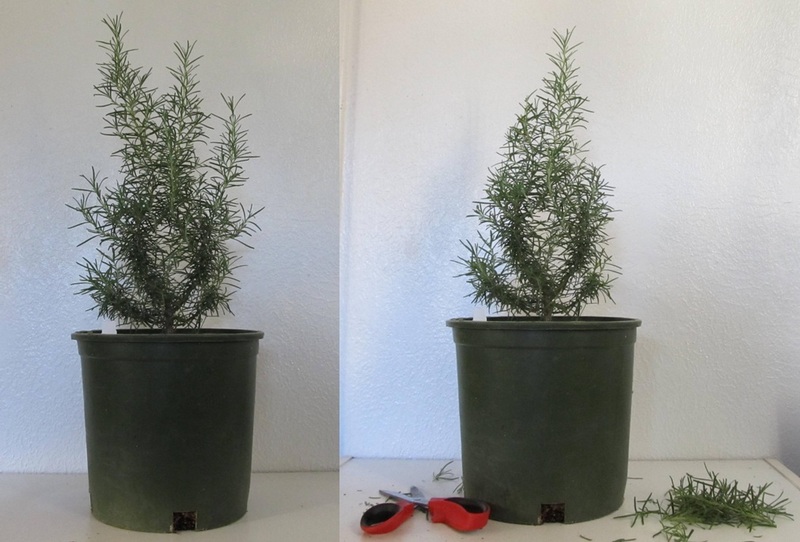 If you are determined to keep one alive despite your odds, awaytogarden.com provides an excellent tutorial about overwintering rosemary both indoors and out. You’ve heard about gardening by the moon – an ancient approach to gardening based in folklore and superstition in which planting times are scheduled according to moon phases and astrological signs. Now, how about gardening on the moon! No pseudoscience necessary here. NASA scientists are currently on a mission to determine what it will take to grow plants on the moon in anticipation of setting up a permanent lunar base. After all, if we plan on sending people to the moon to live for long periods of time, we will need to figure out how to grow some food for them up there, right? The first phase of the study will examine seed germination in a lunar environment and will observe seedlings during the first week or so of their lives. The seeds of cress, basil, and turnip have been selected as the first to be grown on the moon. However, these seeds will experience an environment that seeds of their kind (or any other kind for that matter) have never experienced before, because, unlike the earth, the moon has no atmosphere. 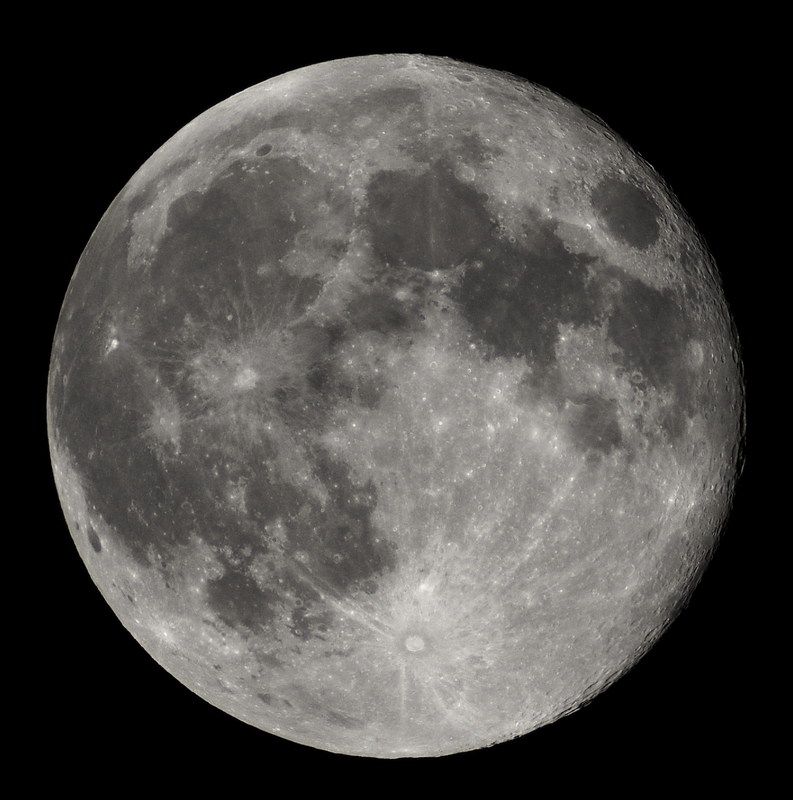 Gravity on the moon is one sixth of what it is on earth; solar radiation is intense and direct; and fluctuations in temperature are extreme to put it lightly (about 150°F during the day to -150°F during the night). Oh, and there is one other important limitation: moon soil is dead. To start with, it’s virtually moisture-free. It also has no organic matter content, and it is void of life (compared to a tablespoon of earth soil, which is said to harbor about 50 billion microbes, many of which help sustain plant life). NASA scientists have considered these limitations. That is why the first seeds on the moon will be grown in a lunar plant growth chamber. This growth chamber is designed to regulate temperature and light and will contain a filter paper inoculated with plant nutrients. Water will be stored inside the growth chamber and released when the chamber reaches the moon. There will be just enough water to induce germination and allow the plants to grow for 5-10 days. Plant growth will be monitored with an onboard camera and then compared to plants grown in a similar growth chamber on earth. Scientists will be observing how well the seeds germinate and grow in a low gravity, high radiation environment. The first lunar plant growth chamber is scheduled to head for the moon in late 2015. It will be hitching a ride with the winners of the Google Lunar X-prize competition. Based on the results of the first phase of the experiment, following phases will observe sexual reproduction in a lunar environment. If sexual reproduction occurs, what effect will high levels of radiation have on subsequent generations? Only time will tell, so this will be an exciting project to monitor for years to come. Do you want to help design future lunar plant growth chambers? Go here. I once assumed that all carnivorous plants were tropical. I’m not sure exactly why. 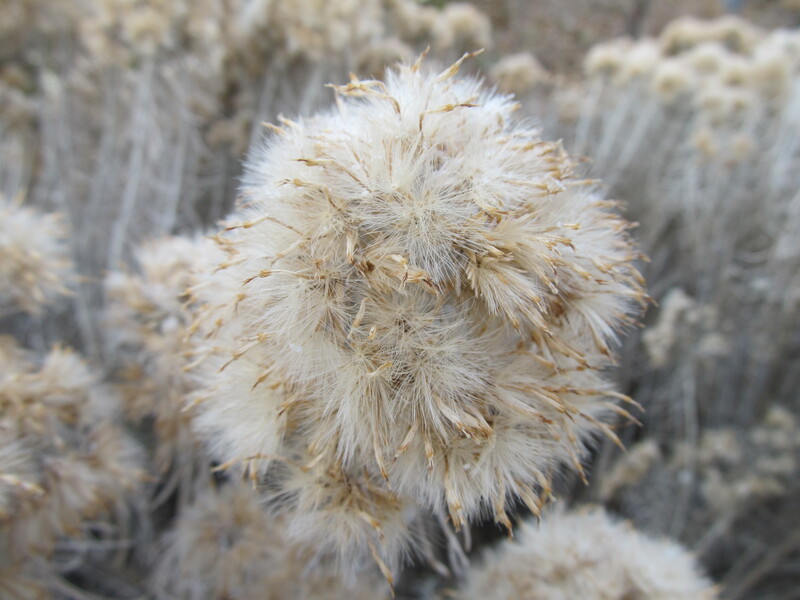 Perhaps it’s because they are so bizarre (both in their appearance and behavior), nothing like the plants that I was accustomed to seeing growing up in the Intermountain West. Or maybe it’s because the one carnivorous plant that I was most familiar with, the Venus flytrap, is commonly sold in the houseplant section of department stores. If it’s a houseplant, it must be tropical, right? Eventually I learned the truth. Much to my surprise, there are numerous carnivorous plants that are native to temperate regions – in fact, carnivorous plants can be found on every continent except Antarctica. Even more surprising, Venus flytraps are temperate plants! It’s true. They are native to a small region in North Carolina, within about a 100-mile radius from Wilmington. 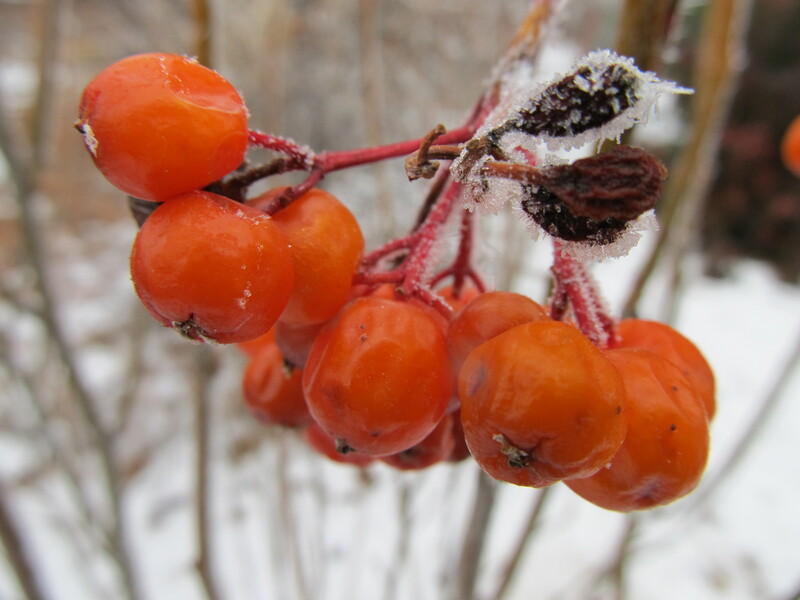 Plant species native to temperate regions require a dormant period. In the winter, the temperature drops, day length decreases, and, in some cases, drought ensues. During this time plants go dormant – they hibernate – and wait for the warmer, brighter days of spring to continue on with their metabolic and reproductive processes. It’s a period of rest. Carnivorous plants native to temperate regions fall into this category – they require a period of dormancy in order to stay healthy and productive. 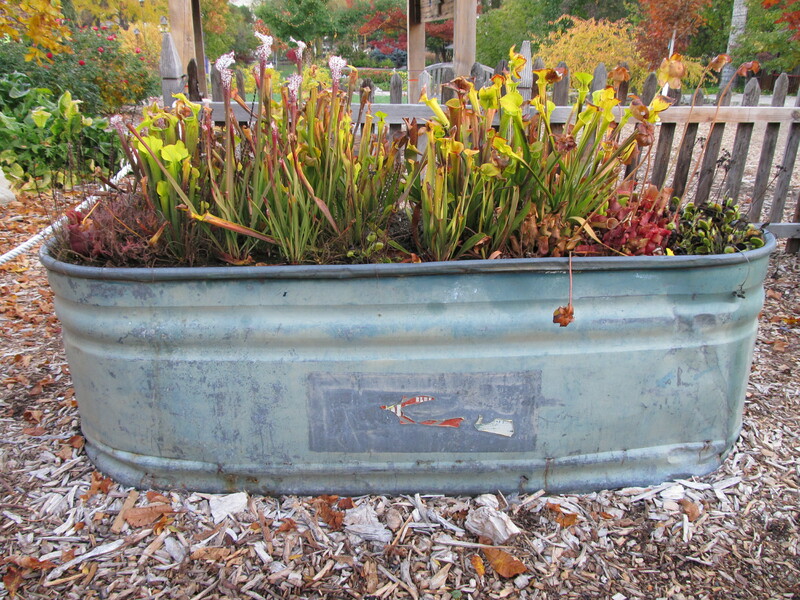 In his book, The Savage Garden, Peter D’Amato asserts that, “Dormancy in carnivorous plants that require it must be respected and permitted to occur. Otherwise, the plant may die.” He goes on to say that a Venus flytrap grown year-round in a warm environment exposed to grow lights for the majority of the day “will eventually get sickly and die.” In short, these plants need a rest, and so it’s best to grow them outdoors where they will be exposed to the elements, thereby entering a period of dormancy as nature intended. Venus flytraps (Dionaea spp. ), North American pitcher plants (Sarracenia spp. ), and serveral species of sundews (Drosera spp.) can all be grown outdoors year-round in temperate climates. In order to ensure their survival, it’s best to give them a little protection during the winter months – especially when temperatures are projected to reach below 20 degrees for several consecutive nights. After the threat of freezing temperatures has passed, the plants can be uncovered. As temperatures continue to warm, the plants will awake from their dormant state and prepare themselves for another spectacular season of devouring bugs and looking awesome.